Moulded Theatre are really proud to be officially certified by The Makaton Charity as a Makaton Friendly business. Throughout the development of our accessible production Ribbet Ribbet Croak, we have worked closely with The Makaton Charity an our tutors Jenny Rathbone and Zanna Finnerty; ensuring that it is fully integrated with signs and symbols from The Makaton Language Programme. The Makaton Charity has lots of information and resources for families, schools and groups on their website - click here to visit. Ribbet Ribbet Croak includes over 150 signs and symbols from The Makaton Language Programme. 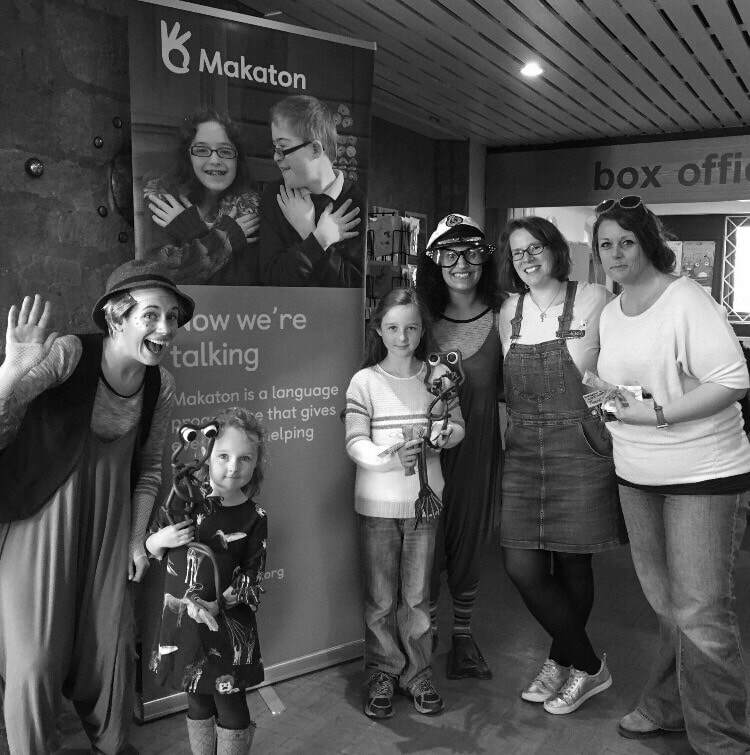 We always have information about The Makaton Charity on us at performances, sometimes other goodies such as badges and wristbands too - so do come and ask us if you would like to know more. ​This is us at Cranleigh Arts Centre, with our wonderful Makaton tutor Zanna Finnerty - the Grandfrogs came out to play with a few of our audience members too! Amongst many other things, Zanna draws the Makaton sign of the week, which you can watch and find out more about Zanna's work for The Makaton Charity on her Makaton Facebook page here.